Budget $20 million. Opening weekend $131,678 on 3 screens. Domestic gross $9.714 million. Rated R for one use of strong language. As I see more of Woody Allen�s output from the Nineties, I become more certain that the man really lost it during that decade. For every decent flick like Bullets Over Broadway or Sweet and Lowdown, his r�sum�s bogged down with smarmy tripe like Alice or Mighty Aphrodite. By my estimation, two of Allen�s ten movies from the decade were pretty good - those listed above - while the others varied from blah to abysmal. Granted, I haven�t seen one of those flicks yet: 1992�s Husbands and Wives. Along with 1966�s What�s Up, Tiger Lily?, Wives remains one of two Allen-directed flicks unavailable on DVD, though as I write this in February 2002, it's finally slated for a release in April. As such, I'll soon finish Allen�s work from the Nineties, but unless Wives is a total dog, I think I know which flick will go down as his worst. 1996�s Everyone Says I Love You offered perhaps the crummiest Allen experience of them all, and that�s saying something. I genuinely disliked a lot of his flicks, but Everyone stood out from the crowd as something particularly atrocious. Allen seemed somewhat lost during the Nineties, and his attempts to cover a wide variety of genres in that time appeared to reflect this status. With Everyone, he went for the big movie musical. Of course, Allen had to give it his own spin, so the film was populated with characters who would make sense in most of his other flicks; we find the usual assortment of wealthy, well-educated and nauseatingly self-absorbed folks. Everyone revolves around one particular extended family. At the very start we meet Skylar (Drew Barrymore) and her boyfriend Holden (Edward Norton). Soon thereafter, we get to know the rest of her family. There�s matriarch Steffi (Goldie Hawn) as well as her husband Bob (Alan Alda). He�s stepfather to one of the kids; Steffi split from Joe (Allen) some years before, though they remain close. Of the children, DJ comes from Joe and Steffi�s relationship, whereas the others - including Skylar, Scott (Lukas Haas), Lane (Gaby Hoffman) and Laura (Natalie Portman) - seem to be Bob�s. None of them have much to do with the story other than Skylar and DJ. So what happens in this nightmare? Skylar and Holden get engaged in a moronically comic manner; he proposes to her by sticking the ring in her dessert, and inevitably she swallows it. Steffi defines the guilt-ridden, liberal upper-class twit as she indulges in various causes to ease her social conscience. In particular, she champions the release from prison of convicted killer Charles Ferry (Tim Roth); she believes he should be absolved due to his bad childhood. Eventually she has him come to a dinner party, and the crude criminal develops a physical relationship with Ferry. In the meantime, DJ flits from love to love and attempts to aid her Dad in his ways. She and some other kids can spy on therapy sessions, and they find Von (Julia Roberts), a babe who would hit it off with Joe. DJ gives him all the poop on her loves and hates and turns him into her dream man. In addition� oh, why bother? I�ve already thought too much about this clunker. Basically Allen transforms the tale of these insufferably smug people into a weak form of movie musical. The main novelty stems from the fact that most of the actors performed the songs themselves; Barrymore was dubbed by a real singer, but all the other voices were genuine. Others might indicate that they�re genuinely bad as well, and they�d be correct; few of the actors sounded very good. Frankly, this was the least of my concerns. I didn�t mind the lack of vocal prowess on display; what I found more problematic was the awkward manner in which the showtunes were implemented. Many musicals have their characters burst into song for no apparent reason, but during Everyone, Allen showed no flair for the integration of these tracks. The numbers intruded on the action in an abrupt and stilted way that made them stand out even more negatively. Honestly, I could never tell if Allen tried to embrace the musical format and pay homage to it or if he wanted to mock and deride the genre. One could view the proceedings either way, though one might prefer not to view them at all. Actually, Everyone seems to be a modest tribute to the Marx Brothers flicks of the Thirties; the flick even includes one major Groucho-related production number. However, it lacks the wit and charm of the Marx boys and seems relentlessly pedestrian. In a way, I suppose that was part of the point. 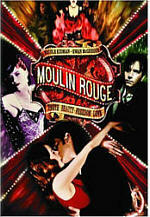 Everyone takes the movie musical from its normal grandiose plots and plops it down into the middle of normal life. Well, not exactly, for few live like the upper class denizens of this flick. Nonetheless, nothing in the plot differs from a non-musical Allen piece. That makes for an interesting experience, but not an entertaining and enjoyable one. A lot of the problems emanates from the relentlessly lame nature of the film. The characters were largely self-satisfied and obnoxious, and virtually none of them seemed even vaguely likable. Everyone may have wasted more fine talent than any other flick in recent memory. Geez, look over the cast listing again: Julia Roberts, Tim Roth, Edward Norton, Drew Barrymore, Goldie Hawn, Alan Alda, Natalie Portman - all totally trivialized and trashed. Surprisingly, Norton comes across worst of the bunch. Many Allen films include a surrogate for the Woodman himself, and Norton serves that role here. However, I can�t recall another Allen flick in which he used a proxy but also appeared himself. This means we find at least one Woody too many, and Norton really seems annoying in the part. 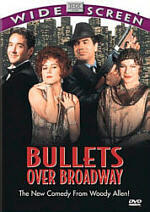 I liked John Cusack�s faux Woody in Bullets Over Broadway because he played the role in a light manner. Norton, on the other hand, goes way over the top. He incorporates a ridiculously affected Allen-esque demeanor and packs his performance full of tics and mannerisms. I really like Norton as an actor, but he�s absolutely intolerable here. The lack of inspiration behind the story and comedy don�t help. I didn�t think Allen would ever stoop to a gag as tired as the one in which Barrymore swallows the ring, and he follows this with a number of other trite and stale jokes. Most smug is the one in which a boy�s right wing leanings are attributed to a lack of oxygen in the brain. Granted, Everyone has its fun at the expense of the liberals as well, but it seems clear where Allen�s sympathies remain, and this gag appears stupidly condescending. Half parody, half homage, but all terrible, Everyone Says I Love You may or may not be the worst film ever made by Woody Allen. A number of flicks vie for that spot, so I won�t try to settle the argument here. Whatever the case may be, Everyone was a total mess that wasted the talents of many fine performers. Check it out only if you like to watch disasters unfold. 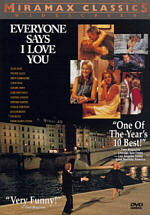 Everyone Says I Love You appears in an aspect ratio of approximately 1.85:1 on this single-sided, single-layered DVD; the image has not been enhanced for 16X9 televisions. Though not dreadful, the transfer showed a lot of problems and offered a fairly lackluster presentation. Sharpness varied. For the most part, the movie looked reasonably distinct presentation, but a bit of softness interfered at times, and a few scenes looked a little blurrier than I expected. Some edge enhancement appeared, and I also witnessed occasional moir� effects and jagged edges; these were noticeable at times but not excessive. Print flaws mainly consisted of light grain as well as some speckles, spots and grit; I also witnessed a large hair at one point. Colors looked off throughout much of the film. The movie featured an oddly yellow tone that made it appear somewhat jaundiced. Overall, the hues came across as fairly flat and bland, and they never demonstrated much depth. Black levels seemed somewhat pale and lackluster, as a lot of the film looked excessively bright. This gave the image a washed-out appearance much of the time, and it made the result less vivid and clear. Overall, Everyone simply seemed very drab and lifeless. Another Woody Allen flick, another monaural soundtrack. Dialogue appeared reasonably concise and natural, and I heard no problems related to intelligibility or edginess. Effects showed slight distortion on a few occasions; for example, some gunshots demonstrated a few problems. However, they generally seemed to be acceptably clear and accurate. Music offered similarly flat but listenable tones. Actually, one brief rap segment displayed nice bass response, but otherwise the track seemed clean but inconsequential. This was a very mediocre soundtrack with nothing special about it. Another Woody Allen DVD, another featureless package. Allen�s dislike of supplements is well known to most fans, and though we occasionally discover a trailer or some production notes, some of the discs are absolutely bare bones. That appellation fits Everyone, which provides absolutely no extras of any sort. Not that those would have redeemed the project. Actually, a commentary would have been nice, as Allen could have tried to justify this mess. The movie suffers from excessive pretensions and has very little positive about it. 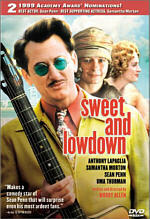 The DVD fares no better, as it provides a flawed picture with drab sound and no supplements. Everyone Says I Love You might entice the Allen diehards, but others should stay far away from this disaster.